Music touches us at a very deep, intimate, and basic level. So choosing the funeral songs for a loved one’s service can be a daunting and emotional task. Which song, or songs, to choose? Is a particular song appropriate? What is the best funeral song for dad, or for a country music enthusiast, or for an evangelical Christian? Since each person is unique, we can’t make those decisions for you. 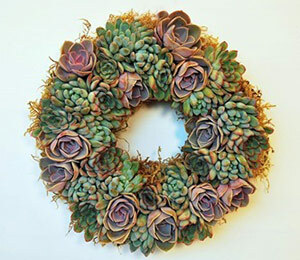 However, we can point out some of the most popular and appropriate songs for funerals in a variety of genres and styles. 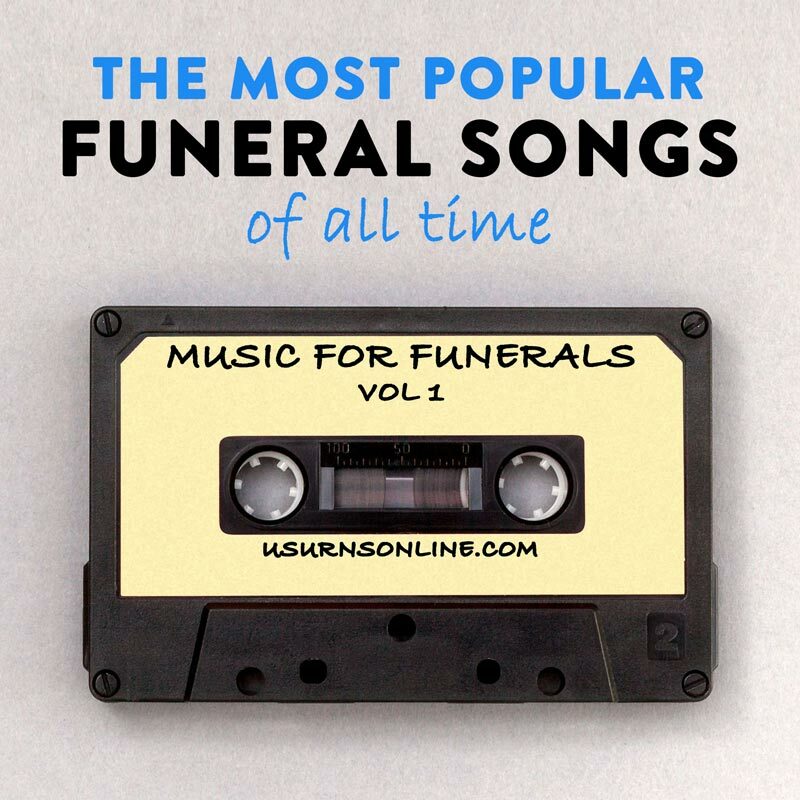 Below, you’ll find more than 100 of the most popular funeral songs of all time. We have a “top ten” list, songs listed by genre and person, and helpful guidance in the form of funeral song FAQs. These funeral songs cover every person, theme, and genre. 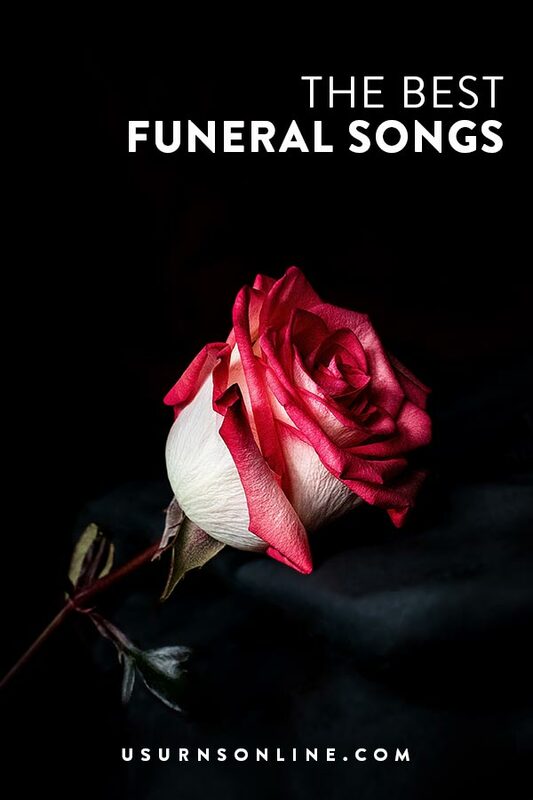 We start with your go-to list of the 10 most popular funeral songs of all time, plus a broad list of 100 more songs for you to browse through. Then we list the top 5 or so by person (dad, grandma, spouse, etc), theme (uplifting, sad, funny, etc), and genre (rock, country, traditional, and so on). 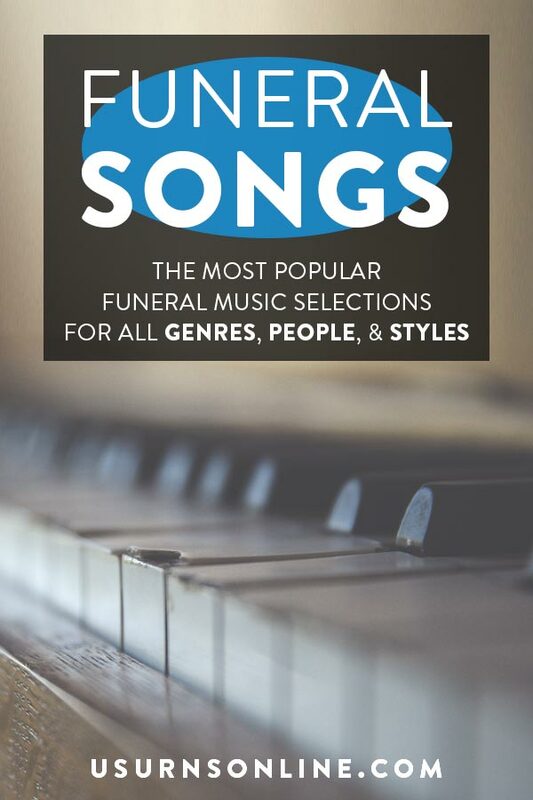 These are the most popular song choices for funerals, memorial service, and life celebrations. Pulling works across all genres and styles, these are simply some of the most emotionally resonant songs every written. Next we have a list of 100 more popular funeral songs, listed alphabetically. These are songs for all types and tastes. 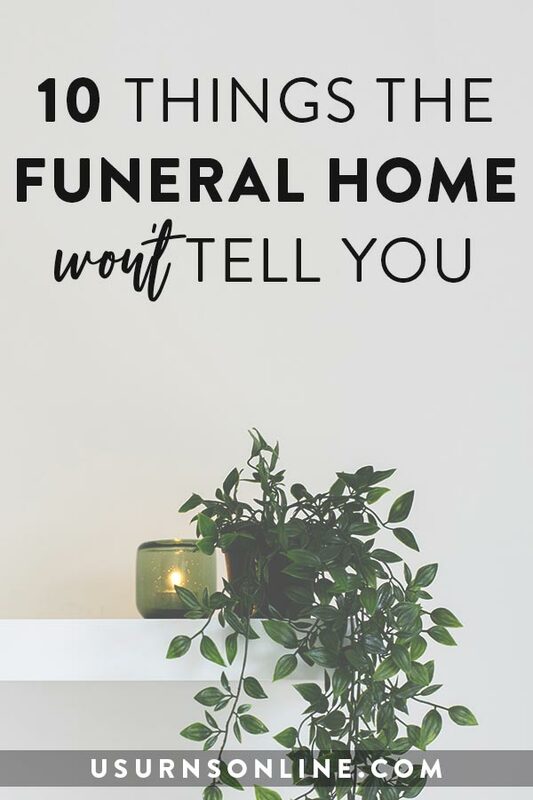 Read further for funeral songs sorted by genre, person (dad, mom, spouse, etc), and style. 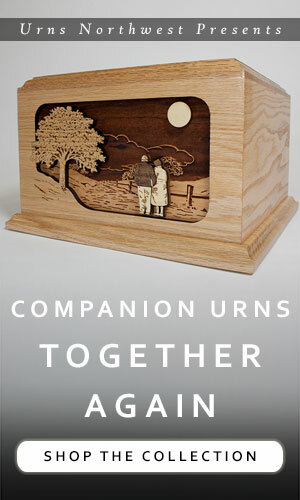 Below you’ll find funeral songs for dad, mom, grandma, grandpa, spouse, and child. These are songs written with that person in mind, and can be a helpful way to express your love for a special and beloved person in your life. Listing popular funeral songs by theme or mood can be somewhat subjective. Hopefully these uplifting, happy, sad, and funny funeral songs help you choose the perfect music for the service. These are just a handful of the top funeral songs from several popular music genres. Whether your loved one was into country, jazz, rock, or classical, you’ll find a meaningful and appropriate song to play at the funeral here. Do people play music at funerals? Often, yes, people play music at funerals. This can be religious hymns sung by all, a favorite or meaningful song played over a slideshow, or instrumental music during a time of contemplation. What are funeral songs called? When should songs be played at a funeral? The answer to this question will be determined by the type and tone of the funeral service. Many religious services have music played or sung during incoming and outgoing processions as well as at other points during the liturgy. For non-religious services, you can choose to play instrumental music or favorite songs during the procession times. Some families choose to play a funeral song during a time of reflection of prayer. You can also select music to be played along with a slideshow. These elements are typically done either just before or just after the eulogy. How many songs are played at a funeral? It is typical to have music playing before and after the funeral service, so be sure to have an appropriate and lengthy selection of music to be played in the 15 minutes before and after the service. For a religious funeral, there will often be 1-3 songs or hymns sung by the congregation during the service. 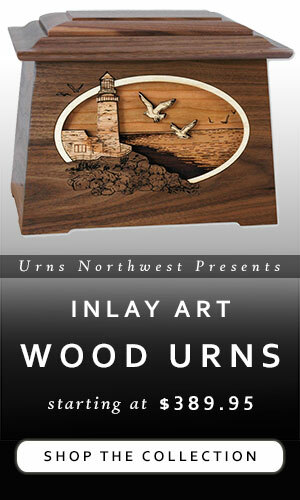 In addition, most modern funerals feature a slideshow and also often a time of reflection. There will be 1-2 songs played during a typical slideshow, and one song for a time of reflection. So, in total, most services feature 2-5 funeral songs played during the service itself plus 30 minutes worth of music before and after. What if their favorite song isn’t appropriate for a funeral? 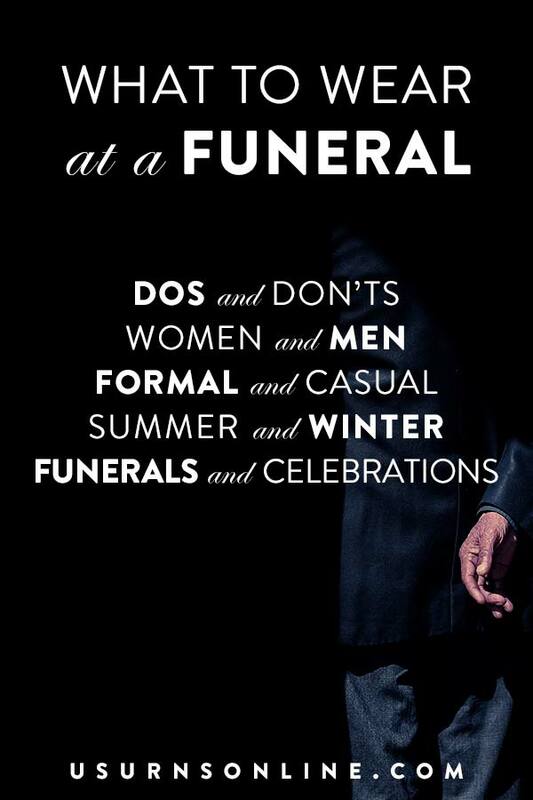 Funerals are important occasions, and should have a sense of weightiness and significance. So while bits of humor can be appropriate in small doses, an entire song that doesn’t fit the “mood” of a funeral can be a bit awkward. In that case, we would suggest having their favorite songs play during the reception, which is typically a little more casual. You can pause the reception to announce that the individual’s favorite song is about to be played, perhaps over a slideshow of pictures.